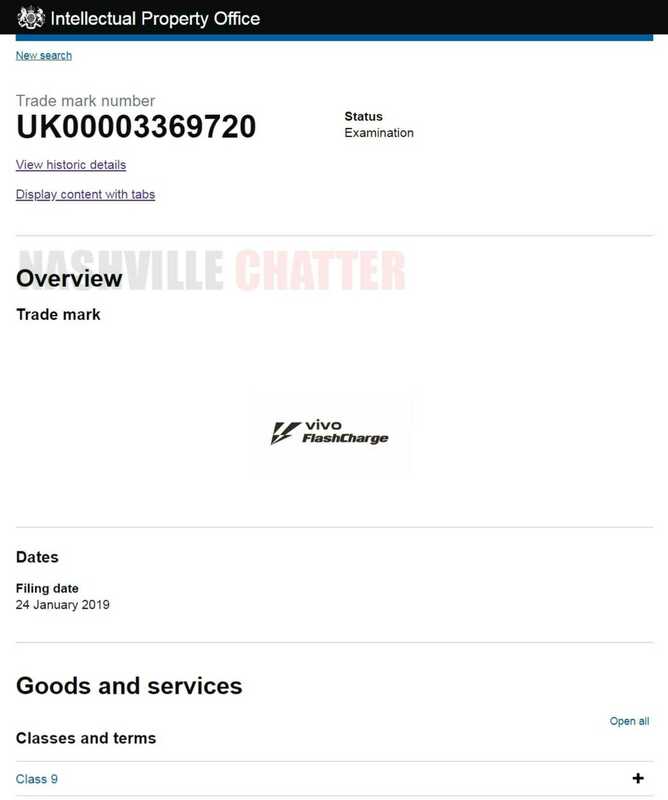 On January 24, the name Vivo FlashCharge was trademarked by Vivo with Intellectual Property Office (IPO) in the United Kingdom. The moniker suggests that the company might have registered a marketing name for the its rapid charging technology. Vivo’s high-end phones that have released in China in the recent past such as the Vivo X23 and Vivo X21 carry support for fast charging. However, the Chinese manufacturer has never used its own marketing name for its rapid charging technology. When Vivo V11 Pro smartphone was released, the Chinese manufacturer had advertised its rapid charging technology with “dual engine fast charging” words. The new trademark filing from the company indicates that it may use the “FlashCharge” moniker for rapid charging feature on its future phones. The fast charging technology made available by Qualcomm on its Snapdragon chipsets is advertised as Quick Charge. However, various Chinese manufacturers prefer to use their proprietary fast charging technology on their device. Sibling brand Oppo offers VOOC Flash Charge technology on its smartphones. The OPPO Find X Lamborghini Edition phone came with 50W SuperVOOC Flash Charge technology. OnePlus introduced 30W Warp Charge (previously known as Dash Charge) fast charging technology on the OnePlus 6T McLaren Edition phone. The regular version of the phone features 20W fast charging. The fast charging technology available on the Huawei and Honor phones powered by their home-brewed Kirin chipsets is called SuperCharge. Meizu phones comes with mCharge rapid charging technology. Last year, it had introduced Super mCharge technology that offered 55W charging. There is no confirmation on when which device Vivo will be introducing its FlashCharge technology. The Chinese manufacturer is tipped to unveil the Vivo X25 smartphone by the first quarter of this year. Probably, it could be the first phone to support Vivo FlashCharge. Next Next post: Huawei P20 Lite with Android 9 Pie Spotted on Geekbench; Honor 7X Might Get Pie Too!